Did you know that we started MtnBikeRiders.com 8 years ago! Yep! We sure did and I have to be honest with you, we’ve had our better years and as each year passes, it’s become a bit harder to maintain this website. Not that it’s hard to manage it, but it’s because life changes. For starters, my career has taken off in a direction than I wasn’t expecting. Then my kids have gotten older, one is College aged, while the other is applying for Colleges and the youngest will be entering high school this fall. So to say the least, things have changed. This doesn’t even involve the Staff Writers who have come through the halls of MtnBikeRiders.com. For the most part we’ve had some great guys come write for us and a few flakes that promised me the world but could only muster up one article or none at all. Oh and did I tell you about the fact that I’m getting old…yep. I’m officially old. How do I know this? Well around May of last year I started experiencing knee pain. I figured I was just riding too much and so I took it easy on the bike. I even wore knee braces to see if it would help. Eventually the pain was too much and I finally saw a doctor. He did a battery of tests to see what’s up with my knees. He came to the conclusion that it was Arthritis. I was seriously bummed out because the pain had become so unbearable that I literally stopped riding. I’d be fine the first 2-3 miles, but once I passed a certain threshold, shooting pain would hit BOTH of my knees. At that point I just gave up. I even started selling my bikes, my gear and got more into motorcycles. I rode my motorbikes because it offered some of that same exhilaration as mountain biking, sans the pain. So around Interbike 2014, Art and I went to the show to check it out. We saw some cool stuff but it was hard for me to really get into it since I haven’t been riding much at all. Since I wasn’t riding, I gained some weight, which made me even more bummed out because I couldn’t ride or even go for long walks without pain. Towards the later part of the year I started upping my dosage of pain meds. I even started using CBD oils for the inflammation in my knees and back. I forgot to mention that my back and shoulders have started to become a daily pain-involved nuisance. The pain started to become more manageable and that’s when I decided to buy myself a new bike. It’s been a while since I’ve actually gone to an LBS and purchased a bicycle. I went with something completely different. I figured I’d get my mojo back with a Moto, Electra Moto that is. Low and behold, I found that riding the moto was good for my Mojo! I then decided that I wanted to start riding again. But before I could do that, I have to follow a quick routine to help me get through my ride; 2 capsules of Naproxen and one can of Redbull. I found that this was the prefect combination of energy and pain killers. Here’s LadyP coming down Cactus…I think that’s what this trail is called. It’s been so long since I was last here. The ride was great, but it did expose that I am WAY out of shape and my skill set is a bit rusty. I know a bit more riding will help remedy those issues. As for my knees…12 hours later they’re doing well! So now you know what’s been going on, let’s hope that we can keep this place alive. We plan on posting more reviews and articles in the next few days. By the way, Happy New Year!!! 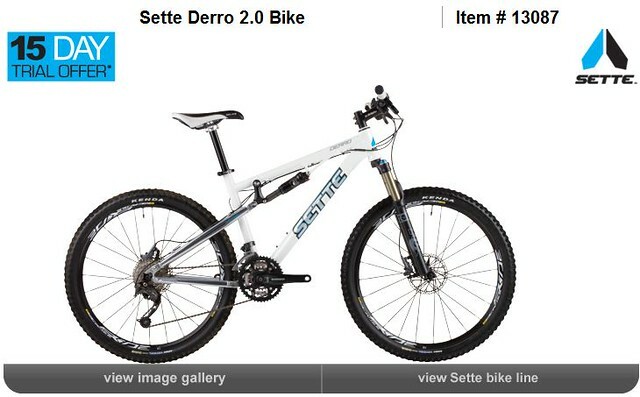 Check out the new Sette Derro 2.0. In my opinion, this is a great deal, the fork alone can retail as much as $700 and the rear shock up to $300. So for $500 more, you get the rest of the bike! 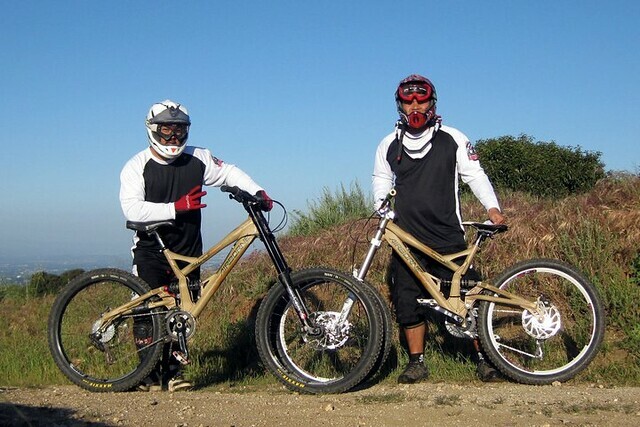 Check out our Sea Otter Coverage of other Sette bikes, including the Derro. Greetings from the happiest place on earth, nope its not Disneyland or your mom’s bedroom. But we are at Monterey, Ca. 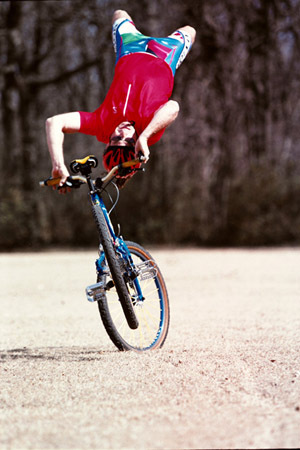 to celebrate the sport of cycling. 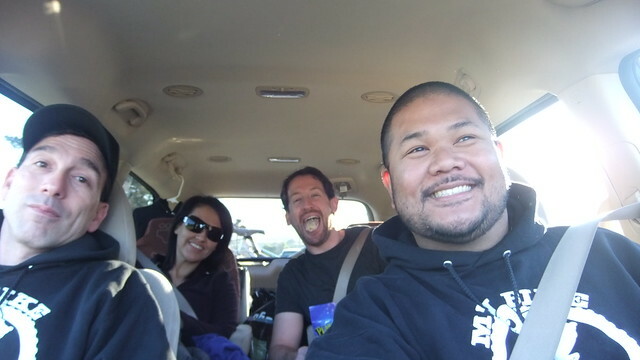 We made our early morning trek through the heart of California and arrived safely to our destination. Intoxicated on unhealthy levels of caffeine and sugars, we have been pushing our bodies just to make sure we provide you a glimpse of the event. Rather than try and post important news worthy info about products we figured we’d just take it easy and just have fun. 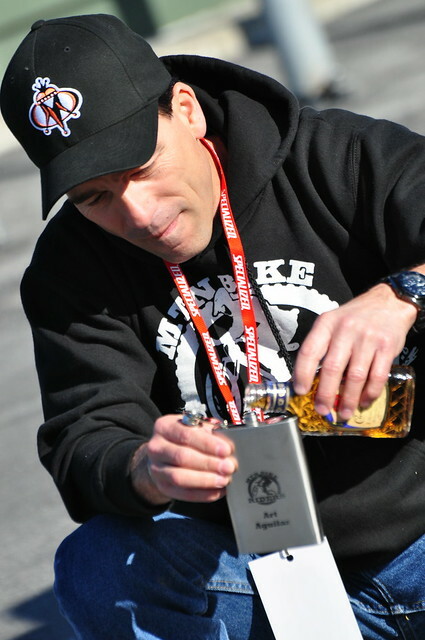 Without further adieu I give you our Friday morning at Sea Otter Classic 2011. Here we are between the legs of this old guy. 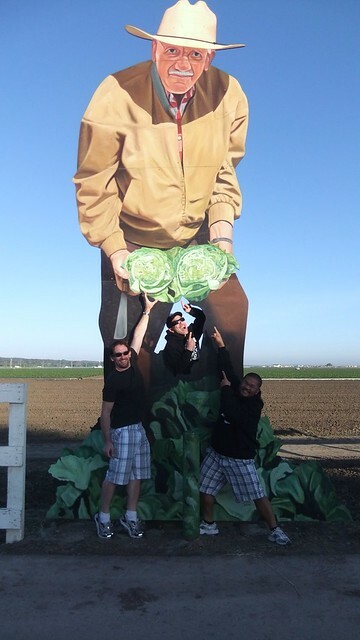 We were very impressed with the cabbages…WOW! 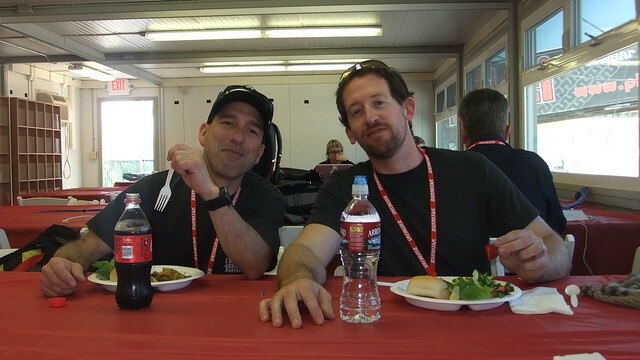 Check out Art, he wanted to get a gander at them things…Look Dan and I are short twinsies! We’re amp’d on Redbull and ready to rock! Later we discovered that our new found energy would only last until noon. 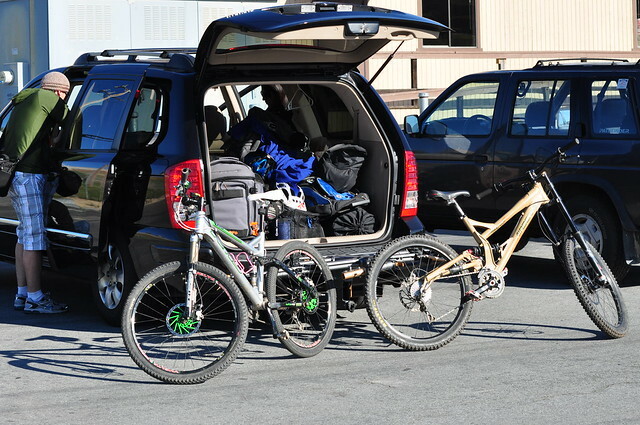 Got the bikes unloaded and packed up our bags ready to hit the scene. Met up with Redline Bicycles, they’ve got a prototype Belt Drive Monocog that we caught on video (coming soon). After our first few hours, we were worn out! We decided to break for lunch. Free food for Media folk…mmm. Keep checking back because we’ll be posting more info as the weekend goes on. Wow, talk about being busy riding. Over the weekend the MtnBikeRiders.com Crew were hard at work riding bikes. Yeah we were testing products and all that jazz. So here’s a recap. Early Saturday morning I met up with one of our readers who only goes by the name of “Dial Tone.” He never did explain what his moniker meant, all he said was, “If I told you, I’d have to kill you…” I took his word for it. Anyhow, DT and I were talking the night before and he mentioned how he was mis-shifting badly. I directed him to watch a video I made a while back on how to tune a rear derailleur. Though he followed the steps, he still had issues. 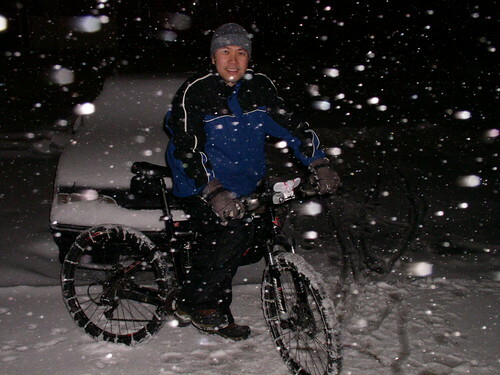 At that time, I offered to check out his bike the following morning. Since I was meeting Cousin Joe at a trail head near DT’s home, we scheduled to meet at 6:20am. After messing with the adjuster barrels, I noticed that his derailleur hanger was bent. 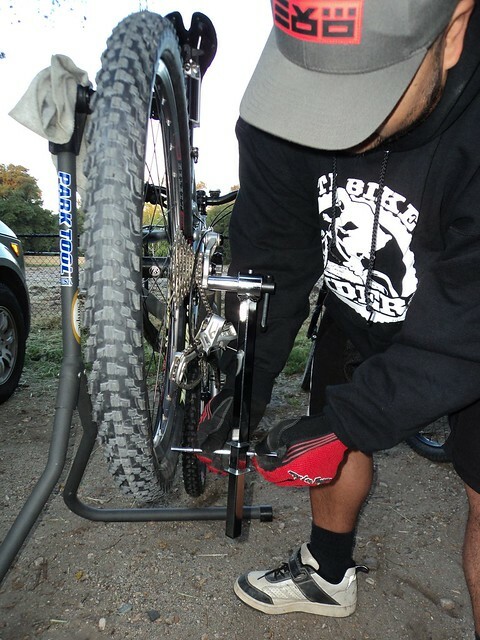 Lucky for DT I carry my Park Derailleur Hanger Alignment Tool in my car, why? Cuz’ you never know if you’ll need it. But I digress, once DT was all “DIALED” in..get it, Dial Tone…Dialed in…eh nevermind, it was funnier in my head. Back to my story. Cousin Joe shows up so we can do some field testing on a few products. Check out our new “practice” jerseys, we call it the Kung Fu Panda. It has the MtnBikeRiders.com logo on the left shoulder. I’m hoping that’s not the case but check out what happened to my pinky finger over the weekend. It started of as this…I bought a countertop wine cellar/cooler from a lady off Craigslist and I was excited to get it set up for Priscilla. On Saturday I took it out of my car and carried to my place. I get to our gate and had to tilt the wine cellar to its side so my left hand can swing the gate open. 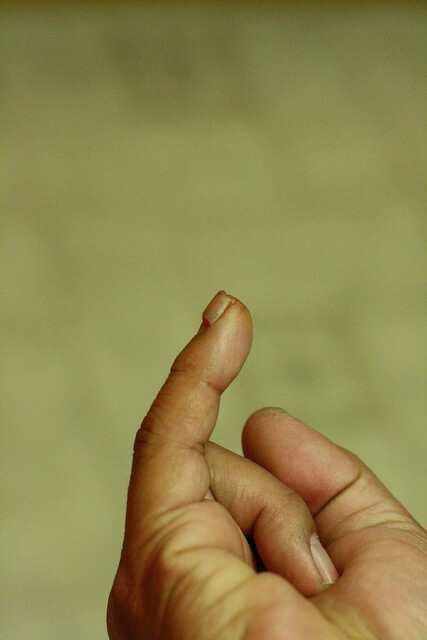 As I tilted it, the door of the cellar swung open, but my pinky was in the way and WHACK! I yell out some muffled bleep words, I set the cooler down and look at my finger. I noticed the the door had cut my finger nail and blood started to drip down. I don’t do too well with seeing my own blood. I start to panic and I run into my place to try and do some first aid on it. Right when it happened I tried to pull of the broken nail, but it wouldn’t budge because its still attached to the skin underneath it. So now I’m sitting here painfully typing this praying and hoping that this little wound will somehow heal up before this weekend’s race, the Fontana City Nationals. The reason why I’m worried about it is because when I do a gripping action, I see the broken nail pushing up against the wound. 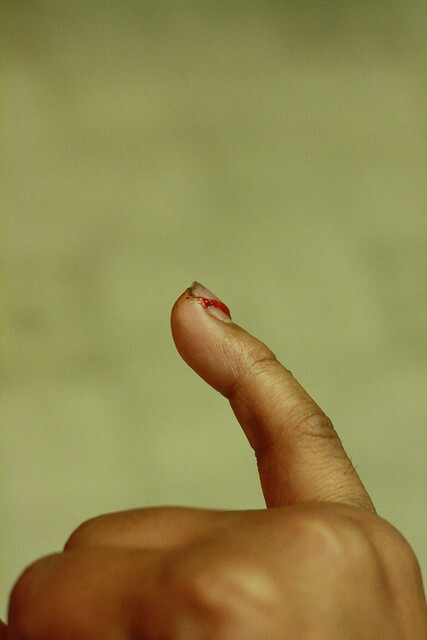 Then again, it’s just a pinky nail…I’ve got another. I wanted to make sure that whatever slogan we came up with, it’s something that would best describe who MtnBikeRiders.com is. 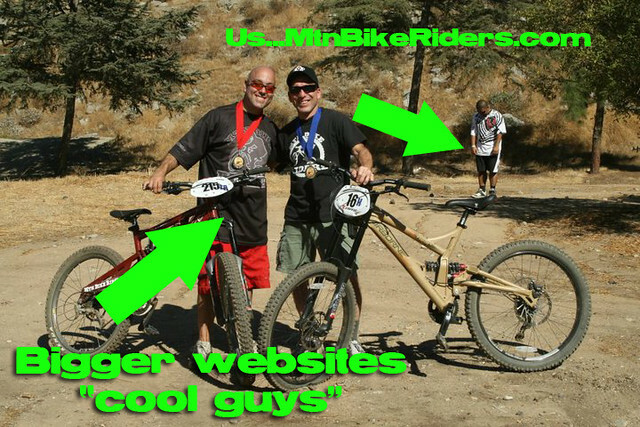 So I found this photo that depicts our position in the Interwebs, you see we’re not quite small and we’re not quite big like MTBR.com (fantastic site). But we’re somewhere in between.